Select Width 2.3" 3" 4.3" 5" 6.5" 9" 10.5" 10.75" 11"
2.3" HSW-2.3-3 3" 0.5 Smooth NUWS.75 0.08" 0.16" 1"
3" HSW-3-2.3 2.3" 0.375 Smooth NUWS-80X025 0.04" 0.13" 2.0"
4.3" HSW-4.3-4 4" 1 Smooth NUWS-137X050 0.04" 0.13" 3.5"
5" HSW-5-12 12" 3 Smooth NUWS-380X150 0.05" 0.17" 4.0"
6.5" HSW-6.5-3.75 3.75" 0.75 Smooth NUWS-200X075 0.05" 0.15" 5.5"
9" HSW-9-11 11" 2.5 Ribbed NUWS-3.00 0.05" 0.16" 7.0"
10.5" HSW-10.5-19 19" 4.5 Ribbed NUWS-6.00 0.08" 0.19" 8.5"
10.75" HSW-10.75-6.5 6.5" 1.4 Ribbed NUWS-2.00 0.05" 0.16" 9.5"
11" HSW-11-6 6" 1.3 Ribbed NUWS-1.50 0.05" 0.16" 10"
A wrap-around heat-shrinkable cable jacket can be easily applied in the ­field without having to split the cable line. Wrap is a simple alternative for effective insulation repairs. 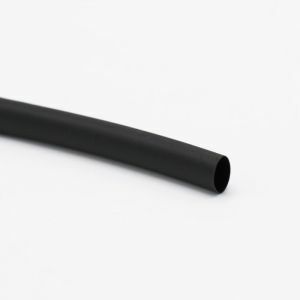 Designed to repair and seal damaged wire jackets that have been chafed, have radial cracks, or cuts on the insulation anywhere cable jacketing has become compromised. Used as a side entry repair kit. Nu-Tech’s wrap kit consists of an outer tubing provided with a hot melt adhesive inner layer and supplied with welding adhesive in a low pro­file construction that provides easy access for repairing damaged wires. 3" 3" 0.375 Smooth HSW-3-3 NUWS424A 0.015" 0.07" 2.0"
3" 2.3" 0.375 Smooth HSW-3-2.3 NUWS-80X025 0.04" 0.13" 2.0"
4.3" 4" 1 Smooth HSW-4.3-4 NUWS-137X050 0.04" 0.13" 3.5"
5" 12" 3 Smooth HSW-5-12 NUWS-380X150 0.05" 0.17" 4.0"
6.5" 3.75" 0.75 Smooth HSW-6.5-3.75 NUWS-200X075 0.05" 0.15" 5.5"
9" 11" 2.5 Ribbed HSW-9-11 NUWS-3.00 0.05" 0.16" 7.0"
10.5" 19" 4.5 Ribbed HSW-10.5-19 NUWS-6.00 0.08" 0.19" 8.5"
10.75" 6.5" 1.4 Ribbed HSW-10.75-6.5 NUWS-2.00 0.05" 0.16" 9.5"
10.75" 14" 3.5 Ribbed HSW-10.75-14 NUWS-4.50 0.10" 0.16" 9.5"
11" 6" 1.3 Ribbed HSW-11-6 NUWS-1.50 0.05" 0.16" 10"